Avail from us a multiple model option in category of White Westinghouse Freezers and Refrigerators that are known for durable performance and energy efficiency. Our range is technically advanced and sourced from the reputed white Westinghouse that ensures the credibility of the product. Ensuring noiseless operation, these refrigerators are designed to consumer less power hence assuring minimal maintenance. Further, we assure our buyers to deliver products within a stipulated frame of time at highly competitive rates. We are importers of an exclusive range of chest freezers, that are available in different models MFC20(W), MFC15(W) & MFC09(W). Available in white color, these freezers have built in advance freeze compressor system, wall condenser, baked enamel steel interior, textured steel exterior and flexible lid. 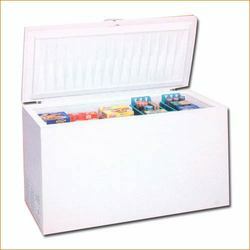 Further, available in different capacities to meet different commercial application requirement, these chest freezers are offered at best prices in the industry. We are engaged in offering Deep Freezers that are sourced from the reputed white Westinghouse. These are Micro controller based and an ideal option to be used in the pharmaceutical companies and other allied industries. 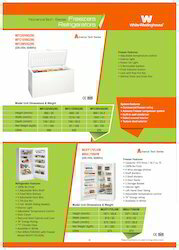 Available in white color, these are offered in frost indicator button and defrost drain and drain pan. 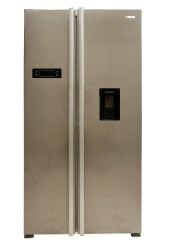 Refrigerators is one of the unique models available with us featuring user-friendly features. Available with 2 Adjustable Wire Shelves, 2 Fixed Wire Shelves, 5 Adjustable Door Bins, 1 Tilt-Out Door Bin, 1 Full-Width Bin, 1 Mid-Level and 1 Lower Level Basket and Interior Light. Known for efficient performance, these can be made available from us at industry leading prices. 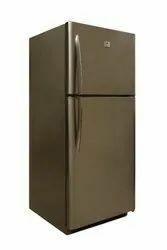 Looking for White Westinghouse Refrigerators & Freezers ?